Anadrol is the brand name for the anabolic steroid Oxymetholone. 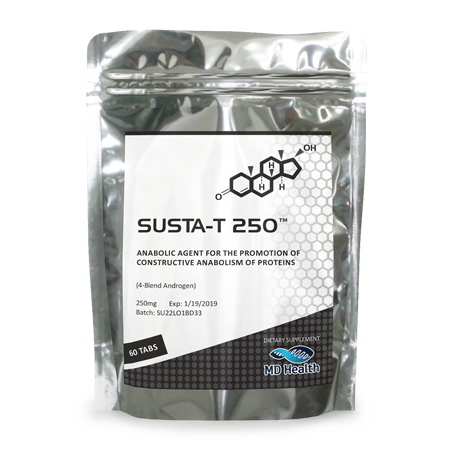 It is very well known as the strongest and most powerful oral anabolic steroid commercially available. It was first developed ad announced in 1959, and shortly after its details were published and released, the pharmaceutical company Syntex manufactured and marketed it under the brand name Anadrol-50. Parke Davis & Co. was another pharmaceutical company that had also bought the rights to manufacture and market Anadrol, only it was under the name Androyd. Shortly following its release on to the market, it had begun application for a myriad of medical treatment uses, many of which include: debilitating geriatric conditions, muscular atrophy related to disease or disability, weight gain, preservation of mass during diseases or treatments, combating infection, osteoporosis, gastrointestinal diseases, and a number of other catabolic medical conditions. The one medical condition that Anadrol had reserved specific use for (above all other anabolic steroids) was that of treating anemic patients. In such a condition, the individual suffering from anemia does not produce adequate amounts of red blood cells, and different problems arise because of it. There can be many different causes of deficient red blood cell production, but Anadrol regardless was considered a miracle drug at the time for such a condition. Anadrol is known for exhibiting erythropoietin stimulation from the kidneys more so than most other anabolic steroids, with the exception of Equipoise (AKA Boldenone), which is also known for its strong erythropoiesis stimulation. Erythropoietin is a hormone produced by the kidneys that signals bone marrow to begin production of red blood cells, and consequently, hemoglobin. Anadrol in studies has demonstrated to stimulate red blood cell increases by as much as 5 fold. Originally manufactured tablets of Anadrol were dosed at 2.5, 5mg, and 10mg tablets. The medically recommended prescription dose upon first release on the market was that of 2.5mg three times per day. A number of years later, however, the FDA had begun to eliminate various medical conditions that Anadrol had been approved for treating until eventually Anadrol was only approved for the treatment of Anemia. As a result, the tablet doses were upgraded to 50mg tablets, as a stronger dose of Anadrol was often necessary for the treatment of anemia in comparison to the treatment of other medical conditions that Anadrol had been previously approved for. This is where Anadrol had developed the newer (and commonly known) name “Anadrol-50”. During the early 1990s, the mass hysteria surrounding anabolic steroids and strong anti-anabolic steroid sentiment spread by the government and the media (in combination with the fact that Anadrol had only been approved for the treatment of one condition at this point) caused Anadrol to be discontinued on the US market. The rights for manufacture of the drug were sold, but production and re-release into the US market had occurred later on in the late 1990s where the drug is still used today but only for the treatment of anemia and for HIV/AIDS related wasting conditions. Anadrol is a DHT-derivative, which means that Anadrol is basically a modified variant of Dihydrotestosterone. Anadrol is basically DHT with a methyl group attached to it (to enable oral bioavailability), and also a 2-hydroxymethylene group which is bound to a carbon atom in the first cycloalkane ring of the Dihydrotestosterone structure. These chemical modifications is what allows Anadrol to be as powerful as it is, and enables it to be very resistant to metabolic breakdown resulting in greater activity in muscle tissue to do its job there. Being a DHT derivative, Anadrol is completely unable to interact with the aromatase enzyme, which is the enzyme that is responsible for the conversion of androgens into Estrogen. Also, Anadrol already being a DHT derivative enables it to be unable to interact with the 5-alpha reductase enzyme, thereby reducing any potential androgenic effects from any metabolites. However, the interesting thing about Anadrol is that although it cannot convert into Estrogen, it is an anabolic steroid that possesses high Estrogenic activity. This is because Anadrol itself (and some of its metabolites) acts as an Estrogen in various tissues in the body. Therefore, any individual must be aware that the gains from Anadrol are not lean hard gains that would be expected from other DHT derivatives. Lastly, Anadrol is a C17 alpha alkylated anabolic steroid, which presents an issue of liver toxicity. Any time an anabolic steroid is alkylated, it becomes resistant to breakdown and metabolism in the liver, resulting in growing amounts of toxicity the longer the anabolic steroid is used (or the higher the dose). Anadrol in particular is known to be quite harsh in terms of liver toxicity. Anadrol is quite limited in terms of its use, and is perhaps the most restrictive anabolic steroid in terms of how it can be used in cycles as well as the doses utilized. Dosing schemes in particular must be approached with caution, as the liver toxicity of Anadrol can become quite a concern, and at any dose used, it is recommended that Anadrol be run for periods no longer than 4 – 6 weeks at a time. Medically, the very first prescription dosing protocols was that of 2.5mg three times per day with the highest medically prescribed dose at this time being 30mg daily. Later on, prescription Anadrol doses had increased due to the shifting of approved medical treatments for Anadrol by the FDA. The Anadrol doses prescribed were changed to 1 – 5mg per kg of body weight. At the uppermost end of this range for Anadrol doses, it would be considered too much for an individual, and so a more realistic dosing situation for an individual must be selected as an example. An anemic patient weighing 150 lbs. (68kg) would be administered an Anadrol dose of 68 – 130mg daily based on the 1 – 5mg per kg of bodyweight guidelines. For the purpose of physique and performance enhancement, Anadrol doses do not differ too much from medical guidelines. The reason for this is because of Anadrol’s great strength and potency. Beginner Anadrol doses are ranged at approximately 25 – 50mg per day. A single 50mg Anadrol dose is always strong enough to produce noticeable strength and physique changes, and even works for the most experienced of users. This is why most users, no matter the experience, never usually increase Anadrol doses subsequently like they would with any other compound used (liver toxicity is also a concern here as well, and is another reason for conservative dosing schemes where Anadrol is concerned). Intermediate Anadrol doses are in the range of 50 – 100mg per day, and there should never be a reason to venture beyond 100mg per day, as many intermediate users would still even make great gains from 50mg per day. The highest range of Anadrol doses would be 100 – 150mg per day, and is not always necessarily used by advanced users. Although it can and has been used, high doses are not an example of an advanced user. As previously mentioned, Anadrol is not a very flexible anabolic steroid when we are concerned with the actual Anadrol cycles themselves. Its inability to convert into Estrogen yet its ability to actually act as an Estrogen renders the use of aromatase inhibitors totally useless for the purpose of combating bloating caused by Estrogen. 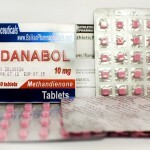 Therefore, Anadrol’s sole purpose lands in the area of a strength gaining and bulking compound. Very rarely is Anadrol ever utilized as a cutting agent, or even a lean mass compound. Anadrol cycles are reserved almost exclusively as bulking and strength gaining cycles. Other similar mass-building and bulking compounds are commonly stacked with Anadrol in Anadrol cycles. 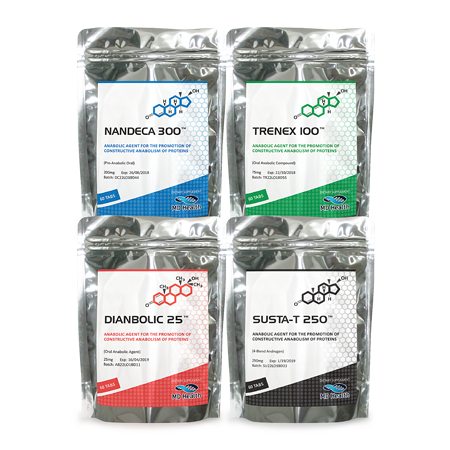 The most commonly stacked compounds include Testosterone, Nandrolone (AKA Deca), and Trenbolone. Anadrol should never be stacked with another oral compound due to liver concerns. The most basic of Anadrol cycles, this is a great beginner bulking and strength gaining cycle. 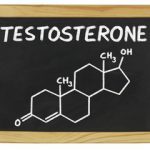 Testosterone is utilized as the base compound here (as it always should be) but its dose is modest enough to ensure gains from Testosterone as well. Anadrol is set at the beginner dosing range, and the stack is an overall simple yet effective stack for an Anadrol cycle. It is highly advised to at least hold a SERM such as Nolvadex on hand during this cycle in the case that Estrogenic effects present themselves and gynecomastia becomes an issue. Remember that aromatase inhibitors do not work to inhibit Estrogenic effects from Anadrol. This intermediate Anadrol cycle introduces Testosterone utilized at a TRT (Testosterone Replacement Therapy) dose in order to simply ensure normal physiological functions of Testosterone are met in a cycle in which endogenous Testosterone production will be suppressed and/or shut down. Testosterone in this case is not to be an anabolic compound. Nandrolone is inserted as a supportive muscle building compound to use alongside Anadrol here, and Anadrol is utilized at the uppermost of the beginner dosing range of 50mg/day, which intermediate users should still experience prominent gains from. This advanced Anadrol cycle implements short-estered compounds for a shorter overall cycle. The shorter cycle also includes some of the strongest compounds (Trenbolone and Anadrol) to produce a highly effective heavy and hard hitting cycle that is quick to go through. Testosterone once again is simply a supportive compound, only there to maintain normal physiological function of adequate Testosterone levels. 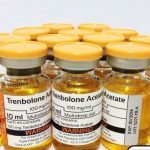 Trenbolone acts as a heavy anabolic alongside Anadrol, and it is important to note that Anadrol’s run time is extended to 8 weeks. This is beyond the maximum 6 week recommended time range, and all users should be aware that liver toxicity increases with duration of use, so caution must be taken during a cycle like this. Estrogenic side effects: Anadrol being a DHT derivative does not convert into Estrogen, but Anadrol itself does act as an Estrogen in the body. Aromatase inhibitors, as a result, do not work to eliminate bloating or gynecomastia. Instead, users should be aware that the use of a SERM such as Nolvadex is the only possible manner of combating Estrogenic side effects, and even so, Nolvadex in this case only combats the gynecomastia aspect of Estrogenic side effects. To date there is no way to deal with the water retention side from dietary changes. Estrogenic side effects include the following: water retention and bloating, blood pressure elevations (as a result of the water retention), increased possible fat retention/gain, and gynecomastia. 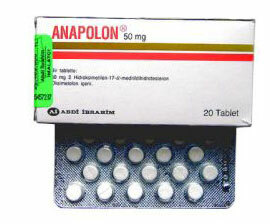 Androgenic side effects: Anadrol itself possesses low androgenic strength in comparison with Testosterone. Androgenic side effects still present themselves with Anadrol, and some users claim to experience greater pronounced androgenic side effects from Anadrol than its characteristics would originally suggest. This is due to the fact that although Anadrol does not convert into DHT through interaction with the 5-alpha reductase enzyme, Anadrol can and will undergo metabolism elsewhere in the body, and the result is a metabolite produced that is far more androgenic (17-alpha-methyl dihydrotestosterone). Androgenic side effects include the following: increased sebum secretion (oily skin), increased bouts of acne (linked to increased sebum secretion), bodily and facial hair growth, and the increased risk of triggering Male Pattern Baldness (MPB) in individuals that possess the genetic trait required for the condition to manifest itself. HPTA suppression side effects: Anadrol side effects also include that of endogenous Testosterone production suppression and shut down. Anadrol is known for perhaps producing the worst post-cycle ‘crash’ users have claimed to experience out of any anabolic steroid. Therefore, it is essential for any user to engage in a proper PCT protocol following the end of a cycle for a 4 – 6 week period, where the use of Testosterone production stimulating compounds is used (such as Nolvadex). 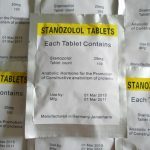 Hepatotoxic side effects: Liver toxicity is an issue under Anadrol side effects where Anadrol has been demonstrated to place a significant amount of strain on the liver. 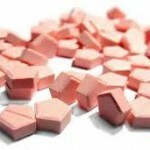 Many Anadrol users in the past that have excessively used this compound either by way of excessive doses or extreme lengths of use, have resulted in liver tumors that are often life threatening. As a result, Anadrol should be limited both in dose as well as length of use to no longer than a 4 – 6 week period. It is also advised to use liver support compounds and supplements in order to ensure proper liver function. Cardiovascular side effects: All anabolic steroids exhibit negative changes on cholesterol profiles whereby the HDL cholesterol (good cholesterol) is reduced and LDL (bad cholesterol) is increased. Anadrol side effects in terms of cardiovascular effects are known to be even worse, due to the fact that oral anabolic steroids tend to worsen these changes. This is because the liver is the organ that generates and controls cholesterol levels in the body, and when liver toxicity is increased, it affects this function of the liver in a negative manner.